This charming holiday house is located on an 18-hole golf course in Winterswijk. The house has a spacious living room with an open fireplace and an open-plan kitchen. There are three 2-person bedrooms and an extra toilet on the first floor. You can listen to the birds singing in the woodland garden. The terrace and kitchen offer a view of the green and you can walk to the first hole from the holiday house in just a few minutes. Want to give golfing a try? You can play the 6-hole course without any golfing experience. You can head to the golf club's clubhouse for a delicious lunch, high tea or dinner. The area round Winterswijk and the Achterhoek region has a lot to offer holidaymakers. There is a vineyard just 300 metres from the holiday house, where you can sample various wines. The Rosenhaege tea gardens, with their Celtic coffeehouse, are also a special place to visit. The Achterhoek has many hiking and cycling trails as well. The flamingo route near the Zwillbröcker Venn will take you past the flamingo breeding ground. The Seevink Molen recreational park, with its indoor play paradise, is a great destination for kids. When the weather is nice you can go swimming, surfing, water biking or rowing at 't Hilgelo, a recreational pond. Winterswijk also offers an indoor pool for those days when the weather won't cooperate. The centre of Winterswijk is a charming place to shop and you can visit the market on Wednesdays or Saturdays, or the Piet Mondriaan museum. 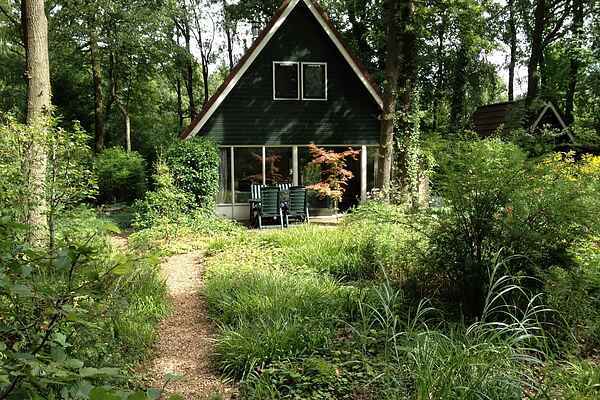 This holiday house makes a lovely base for exploring Winterswijk and the Achterhoek region.